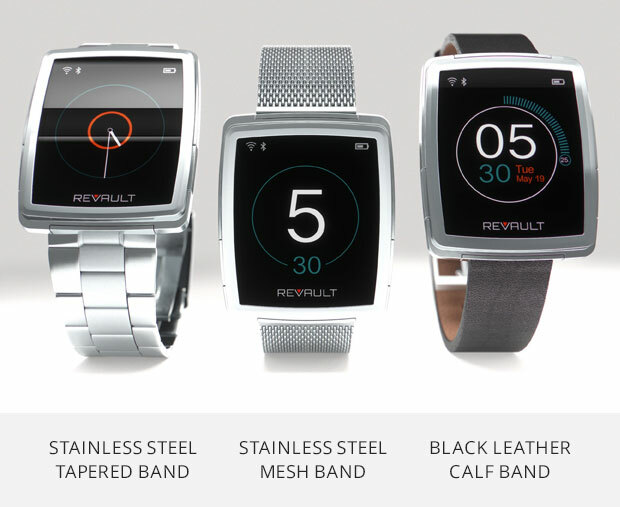 A new wearable device is currently being crowdsourced called the ReVault. On the face of it, it looks like a fairly standard smartwatch – but its secret weapon is invisible – your own local cloud. The Revault watch comes in both 32GB and 128GB variants and can connect to your phone, tablet or even PC as a wireless hard drive. The pitch is that you can have one copy of your data on your watch and can then access it across all your devices without the need of syncing each to a PC or a cloud in advance. You can even access this data when you have no internet connection as it connects locally via either Bluetooth or WiFi so this local cloud will work in places where you can’t connect to your regular cloud services. The idea of separating physical storage from your device is not a new one, although the idea has faded away in recent years due to Cloud storage offerings and manufacturers being able to charge more for high capacity flash storage models. Having a memory card in your phone is seen by some as an advantage as you could get additional storage (including capacity far outreaching the device manufacturers options for a lot less), plus the flexibility to move your content to your next device, again without the additional cost on a pricier high capacity model. Portable wireless storage could be the replacement for memory cards as it has distinct advantages and doesn’t require the device manufacturers to physically include compatibility – which is something they have little incentive to do. A real concern is when these devices, personally owned by employees, are taking into the work space. Many companies will block the use of USB storage and block public cloud networks, however as the Revault is neither reliant on a physical or internet connection these devices is unlikely to be blocked by a standard company security policy. The Revault will probably be a niche product and the chances of copycat devices or functionality remains uncertain at this point. However, the strength of this crowdsourcing campaign could play a vital role in its success if personal clouds become relevant to a larger market. One thing is certain though, new devices will always test your security practices and you will need to be vigilant to safeguard your corporate data from the ever evolving and unmonitored consumer device and services market.